When it comes to luxury holidays in Asia, you’re really only limited by your imagination. Every country offers its own unique take on luxurious travel, offering refined hospitality and truly insider moments, whether that’s a helicopter tour or guided tour with a local expert. In the following list, we’ve narrowed down some of our top recommendations for a luxury trip in Asia — read it and get some inspiration for that journey of a lifetime. On the topic of trips of a lifetime, how about a luxury Asia honeymoon? For the discreet, personalized service, hyper-luxurious hotels and spectacular locales demanded of honeymooners, Japan is tough to beat. The Japanese attention to detail, the nation’s efficiency and cleanliness, the iconic experiences to be had and landmarks to be seen make it the perfect place for romantic discovery. Add world-class cuisine and luxury onsen experiences — think just the two of you in a hot spring overlooking Mount Fuji — and you’ve got the makings of a truly one-time-only trip — as all honeymoons should be. 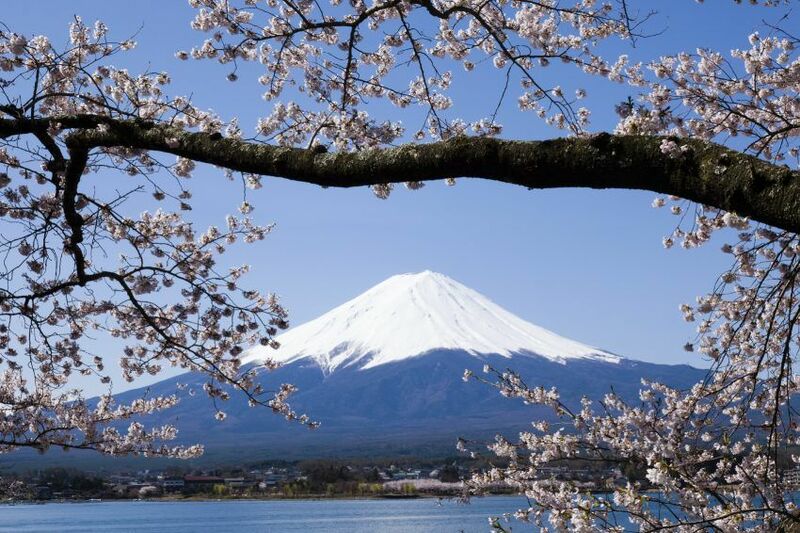 This two-week luxury Japan honeymoon incorporates pampering hotel stays in the most exclusive properties, rare and insightful cultural activities, and historic meanderings through majestic UNESCO sites. There are urban adventures in Tokyo, a scenic onsen stay in Hakone National Park, and even a few days of blissful relaxation on the tropical beaches of Okinawa. Perfect to launch a lifetime of travel together. If pure pampering is your travel style, Thailand is the country for you. Luxury hotels in Thailand are truly world class, several cities now boast Michelin-starred restaurants, and the kingdom’s spas truly can’t be bested for unbridled, indulgent beauty and wellness with an Ayurvedic touch. 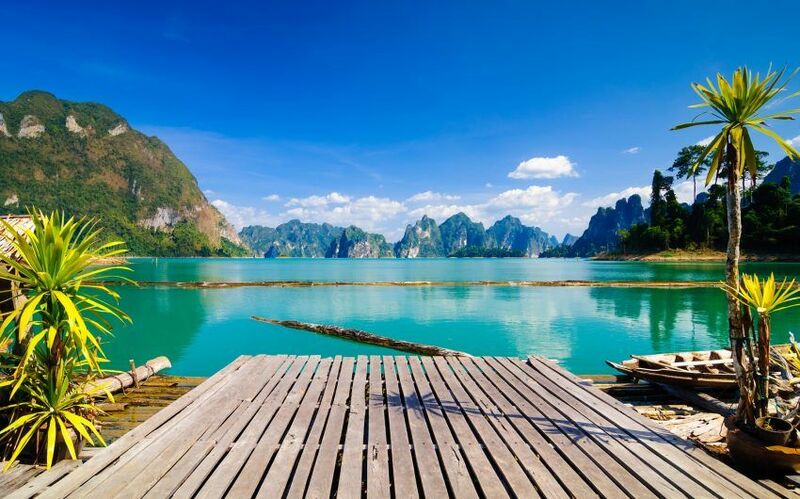 When it come to luxurious landscapes, the lush mountains of Northern Thailand, the rich biodiversity of national parks such as Khao Sok, the reefs of the Similan Islands and the paradise beaches of the south each paint a picture of absolute natural perfection. It would take a lifetime to experience every single lavish experience in the Land of Smiles, but this two-week grand tour of Thailand manages to include quite a lot of them while maintaining a luxurious pace. Royal Thai cuisine on the River of Kings, exclusive elephant encounters in the Golden Triangle and a stylish island stay at Six Senses Resort in Koh Yao Noi encapsulate the pinnacle of luxury travel in Thailand. While impossible to claim a single best destination in Asia for nature holidays, Vietnam rises to the top of this list as one of the newer luxury arrivals on the scene. The country is still blossoming as an international travel destination, so upscale experiences are all the more exclusive. Tours through Hang Son Doong cave, for instance, are led by the world’s best caving teams and limited to a certain number of permits per year. Then there are the sweeping coastlines and deserted islands of the South China Sea, the towering, rice-terraced mountains of the north and the spectacular UNESCO-listed site of Halong Bay. Northern Vietnam is a trove of natural treasures, and a week-long luxury tour of the region uncovers them in style. From the verdant rice-paddy peaks of Sapa to the countless limestone karsts that jut from Halong Bay’s turquoise waters, the landscapes are simply breathtaking. 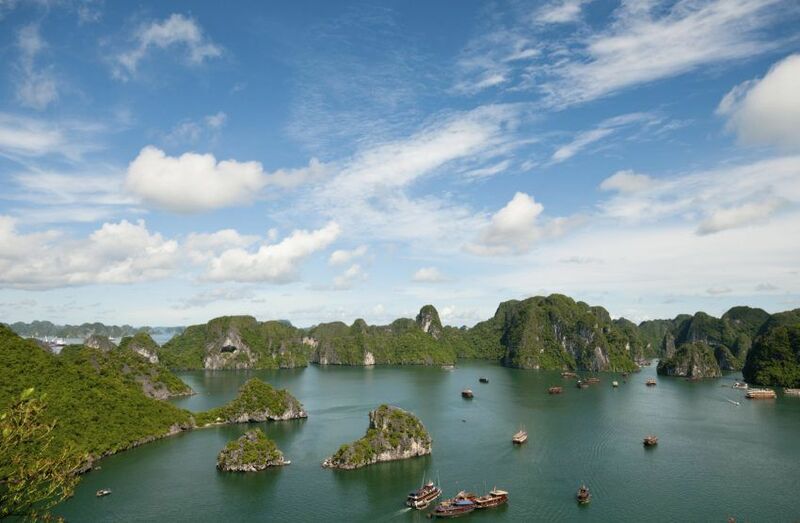 Coupled with exclusive experiences, including an overnight train trip in a luxury sleeper carriage and a private overnight cruise on Halong Bay, this is a tour worth splashing out on. Imagine drifting off on a sailing trip into serene, uncharted waters, just you and your captain and crew. Myanmar’s Mergui Archipelago offers up dazzling Andaman Seas dotted by paradise islands totally untouched by development. Another newcomer to tourism, and issuing only a limited amounts of private sailing permits per year, Mergui remains as far off the beaten path as you can probably go and still expect some pampering. A six-day sailing trip like this one has an itinerary as fluid as the waters beneath you. The islands you visit may change depending on the weather or the currents, or you might decide to linger longer in one particular place. You might meet the local sea nomads, or spend a full day exploring a deserted island or kayaking around blissful bays. Each night, you’ll fall asleep to the sounds of the waves lapping the hull and nothing but the constellations twinkling overhead. Song Saa is not just a luxury resort on a pristine tropical island, but an eco luxury resort on a pristine tropical island. 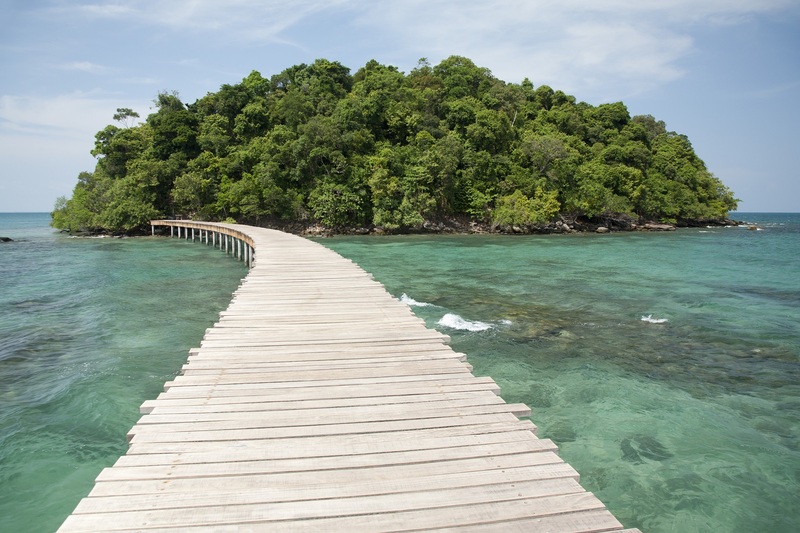 A short scenic speedboat ride from Sihanoukville, the twin islands of Song Saa are located in the Koh Rong Archipelago — a pristine natural environment and now a marine national park, thanks to the conservation efforts of the resort’s owners. Castaway luxury is the vibe at Song Saa, with luxury villas made from reclaimed timber and upcycled objects. An onsite organic garden inspires fresh gourmet menus, while activities include seaside yoga, outdoor spa therapies, swimming, snorkelling and going on an island safari across Koh Bong and Koh Ouen. There’s also meditation, diving and cultural tours of neighboring Koh Rong, where the resort has set up a foundation to support the local community. 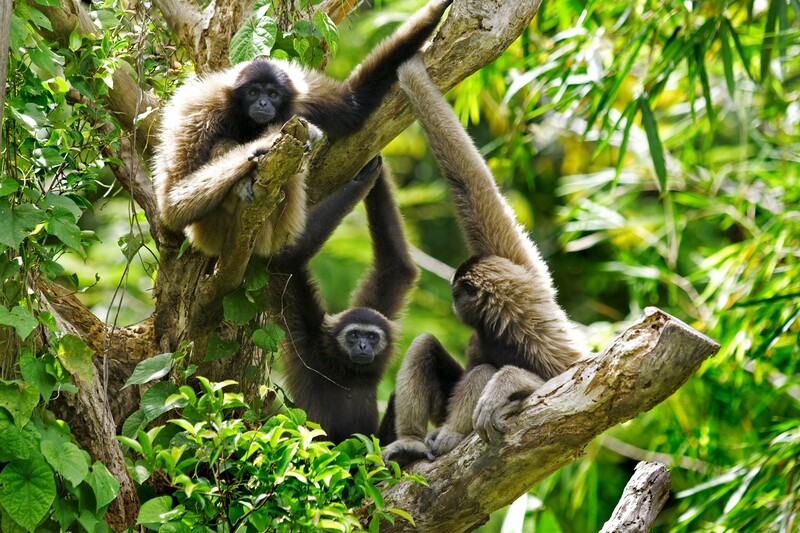 Borneo is the best destination in Asia for seeing rare and unique animal species doing their thing in the wild. You don’t have to ‘rough it’, either. 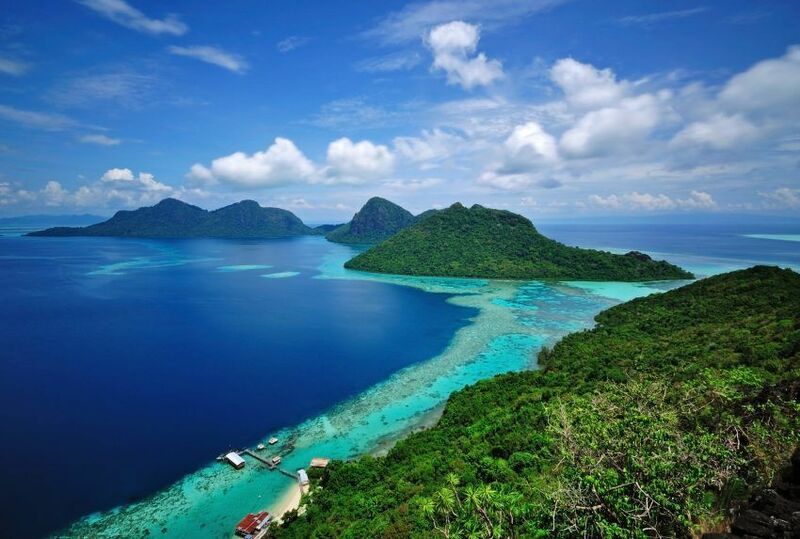 A luxury holiday to Borneo gives you equal parts wild, raw nature and soft, pampering hospitality, so after experiencing the depths of the jungle, you can enjoy the heights of luxury. You can enjoy great dining in Kota Kinabalu, visit endangered species in a number of habitat sanctuaries, spot rare and exotic animals on safari, then chill out in a luxury beach resort on Sabah’s idyllic island shores. A luxury tour of Borneo could take many forms, but as an example, here’s a 10-day tour that includes all of the island’s natural highlights. There are wildlife tours, cultural escapades, exclusive experiences such a helicopter flight over Mount Kinabalu, exclusive culinary adventures showcasing local food and a five-star beach break at the Shangri-La. Seeking a luxury experience quite unlike anything else? 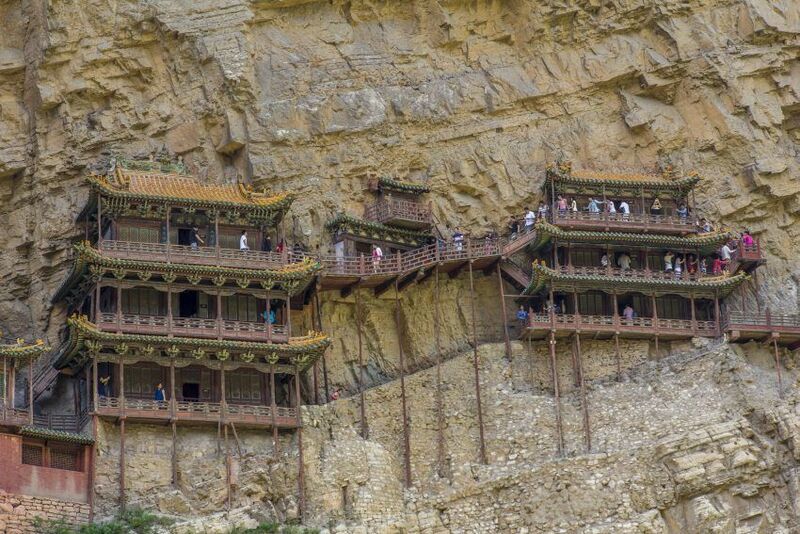 Check out a China luxury tour to Little Tibet in the northern reaches of Gansu Province. Lanzhou here is the capital – a former hub along the Silk Road where you’ll see all sorts of cultural influences at play. Here, you can marvel at temples carved into caves, explore grottoes, stroll down the iconic Yellow River and gaze out over endless loess landscapes. There’s also a great confluence of cuisines to try from, including the famous Lanzhou pulled noodles. On our luxury tour of Little Tibet, you can get out onto the Sangke Grasslands and experience life in a nomadic camp. You can explore Xiahe and try a finnish sauna overlooking the river, savour bespoke dining experiences, hike across the open plains and horse ride like a real nomad. You can stay in a luxury tent and take a tour of the famous Labrang Monastery, with a resident monk as your guide. There’s something about laidback, charming little Laos that makes it the perfect setting for romance. Luxury cruises down the Mekong, pampering couples’ spa treatments, fine Indochine dining and small, stylish boutique hotels are part of the equation, as are spectacular natural landscapes that range from towering cliffs to sleepy islands. A six-day luxury Laos tour like this one incorporates all those premium touches with a showcase of utterly breathtaking sites. 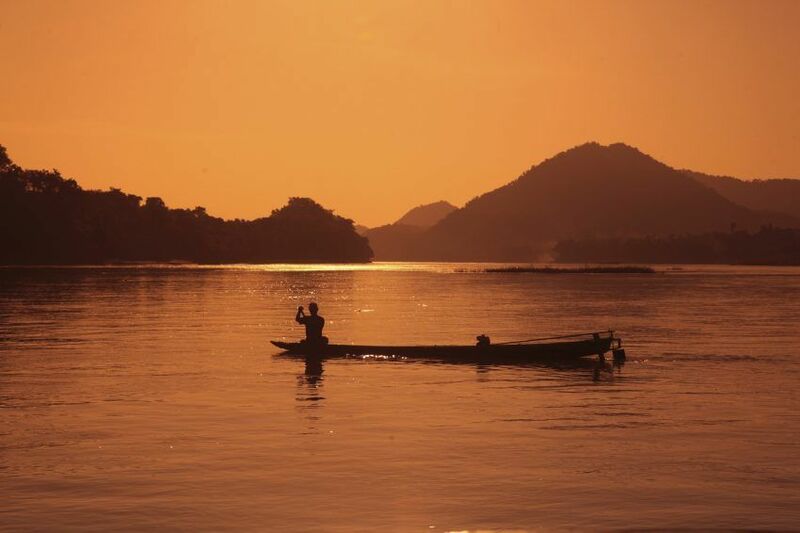 You’ll begin in Luang Prabang, a captivating UNESCO World Heritage Site, with the Mekong River, Mount Phousi and ancient temples to explore. 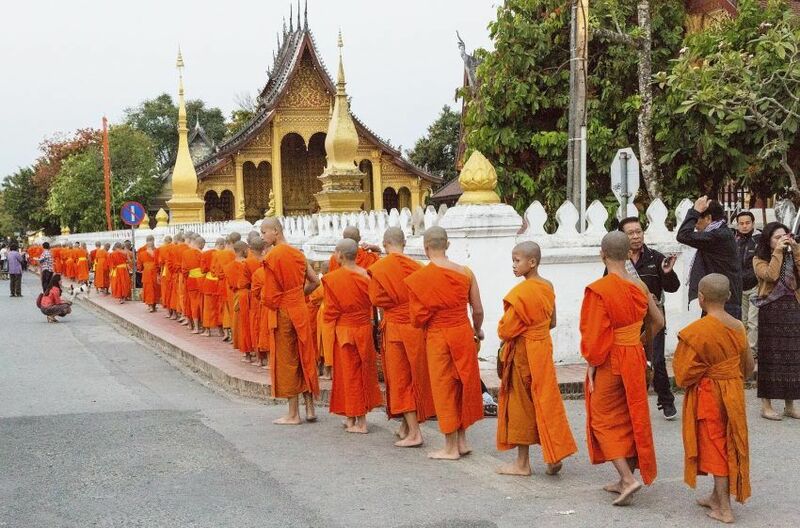 You’ll also experience the finest of Vientiane together, with a stay in a luxurious suite, top-notch local dining and exclusive insider experiences. If your destination is Thailand and you’re yearning for some unfussy island time, far, far away from the crowds, Koh Jum is the place for you. Still one of the quietest islands in idyllic Phang Nga Bay, this unassuming paradise hides some seriously luxurious resort experiences. Think spacious villas with private pools and delicious local cuisine. Spend your time chartering long-tail boats to explore the surrounding islands. Stroll secluded beaches, clock up hammock time under towering coconut trees and enjoy serene views over one of the most famously picturesque bays in Thailand. Epic ancient sites, glittering temples, distinct and delectable cuisines and luxury cruising, all against a backdrop of the mighty Mekong — does it get any more magical than this? One of the most dreamy settings for a luxury multi-country tour in Asia, the Mekong River imbues any holiday with unforgettable charm. This two-week tour takes all the iconic sites of Cambodia, Thailand and Laos and weaves them into a single spectacular journey. Angkor Wat in Siem Reap, the Grand Palace in Bangkok, the Four Thousand Islands of Laos and plenty of ‘hidden’ highlights — this odyssey is the ultimate in luxury Asian tours. You’ll definitely fall in love with the Mekong — in which case, you can easily book a Vietnam tour straight afterwards to indulge your new passion a little longer.